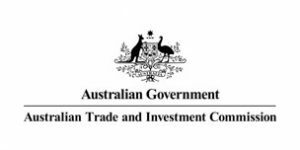 The Australian Trade and Investment Commission – Austrade – is the Australian Government’s trade, investment and education promotion agency. information on the Australian business, governance and regulatory framework. Growth: Following 23 years of growth, Australia’s large, stable and diverse economy is set for continued economic expansion through strong trade links to dynamic markets. Innovation: With significantly increased expenditure on research and development, high-quality research and an integrated innovation framework, Australia is an attractive destination for bringing new ideas to life. Location: Australia’s strategic location and convenient time zone offer an ideal platform from which to do business within the high-growth Asian region. Business: A well-regulated and transparent commercial environment makes it easy to establish and operate a business in Australia. Talent: Australia’s workforce is highly skilled, highly educated and multilingual, connected to both western and Asian cultures.